Hi Guys – How long or short I don’t know. Not enough information yet on how long stuff takes. This is only my second build since returning. Before I only would stick em, paint em decal em and hang from the ceiling or put them on the sideboard. But I did think 6 months would be enough but we all know blink and miss it - where the times go. So I do think you need a deadline of some sort, this has motivated me to get my arse in gear and you can’t go on open ended other wise you will loose this motivation. Also when you do look at some of the amazing stuff that is built around here. In particular the stunning work and efforts of Brian’s Big Ol Russian Gal - I would say more time would be advisable and welcome. I am with Brian on this one and really would like to finish my Spitfire within the GB and to that end will try to hit the extended deadline of the end of the month. But I want to do the job to the best of my current ability or even to try and push my builds to the next level so if she ends up in WIP then that’s where she will have to go. When I first though about joining the GB there seemed to be masses of interest but as time went on. It has seemed to end up quit lonely out here in the Russian love-in. So if longer time would have encouraged more to participate or even some of those that started really interesting projects to finish them, then that can only be to the benefit of all of us that love this mad past time!!! Sorry a bit it wordy but I think worth saying! I agree Taff that a deadline is necessary. However, I am still sure I will not be completing my Russian project in the next two weeks.............maybe. There is so much more to do that one expects on these large 32nd builds, especially down to the nitty gritty details when wrapping a build up.....................I still dont have those, and dont yet even have the main color on my airframe. (soon to have though!). I think as has been pointed out in the past, just as Ron said, we are a smaller membership community, and with the specific subject matter/scale we choose to model in, we naturally take longer to get more details in our builds; to remedy the long talked about 1/32 and above "toy like" aspect if these details are not added. I think this can be a challenge with all the "real life" happening around us in our adult lives. No more ceiling queen/quick jobs as Taff / Ron pointed out any more............its all about less models, and more quality on the ones we do produce. Would a Nov / Dec (or even 1st of the year?) deadline be too far out? With Brian even if am trying to finish her in the allotted time. Being honest think I will over run too!! So any extra time will be appreciated. We've agreed to extend the GB until Dec 15th. Hopefully the extension will result as many finished builds as possible. We are also going to throw in a little incentive. 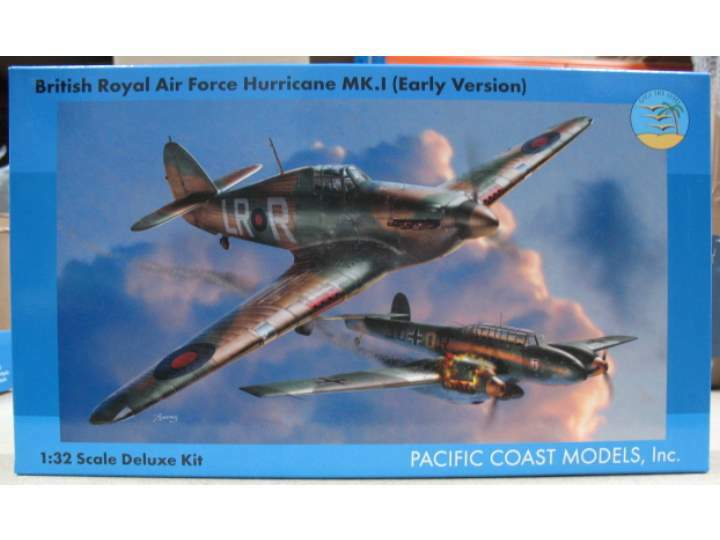 Any participants who finish their builds will qualify for a draw for a 1/32 PCM Hurricane Mk 1 fabric wing kit. That really IS some incentive! I think Dec 15th is actually doable. That will definitely give me some time to get the details hammered out without feeling like Im rushing things. Thanks guys! Well Brian, I hope the others take advantage also! I don’t just mean the kit. That is a BIT OF VERY NICE. Just that I can hopefully - baring the klutz doing the work - finish her here in the GB. Thanks a lot to the powers that be for the extra time. Should be able to drive this one home know!!!! I finished up tonight (well technically now LAST night I guess) around 8 or 9 CST. my first completed GB! YAY! Were you counting Taffs finished spit as well Ron?